shopgoodwill.com brings thousands of one-of-a-kind Goodwill donations from across the nation together into one incredible online treasure box. Have you taken your love for Goodwill shopping into cyber space? 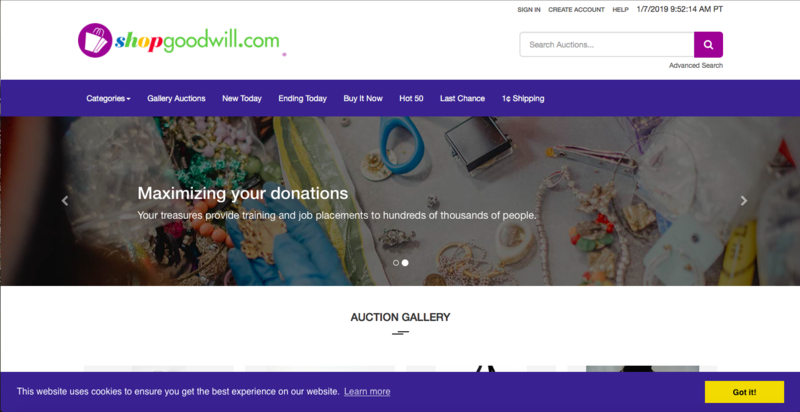 shopgoodwill.com is the first and largest e-commerce auction platform created and operated by a nonprofit, Goodwill of Orange County. More than 120 Goodwill organizations nationwide list unique auction items on the site, including collectibles, art, designer apparel, electronics, jewelry and more. More than 90-percent of an item’s final sale price goes back to the Goodwill location that listed the item, supporting their local programs and services for people facing barriers. The more than $560 million in online sales generated on the site has funded thousands of new job placements, and education and career advancement programs that have served tens of thousands of people across the country. Today’s post is the fifth roundup of some of the awesome items that have been discovered at Goodwill of Orange County stores and sold on shopgoodwill.com. In case you missed them, click here to view Part One, Part Two, Part Three and Part Four of our shopgoodwill.com treasures blogposts. *Note: The auctions of the items listed below have ended. Jade is one of the most expensive gems in the world and best known for manifesting good luck and prosperity. Contrary to popular belief, jade’s only shade is not just green. Jade is actually two separate gems: nephrite and jadeite. Nephrite comes in a creamy white and light green, whereas jadeite comes in wide range of colors. In 1982, Mobile Fidelity Sound Labs released a limited-edition vinyl series of 13 Original Master Recordings by The Beatles entitled The Beatles – The Collection. The Collection was adored by critics and fans worldwide. 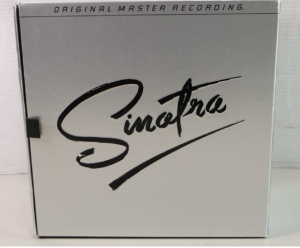 Following this success, Mobile Fidelity released their second boxed collection in 1983 which included 16 of Frank Sinatra’s most popular recordings. In a galaxy far, far away, Kenner Products produced a line of collectible Star Wars action figures. 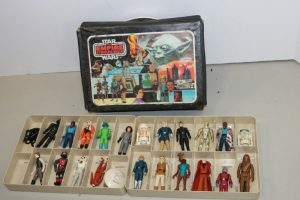 Over 100 unique characters from the original Star Wars movie trilogy were produced and sold to fans and collectors from 1978 to 1985. 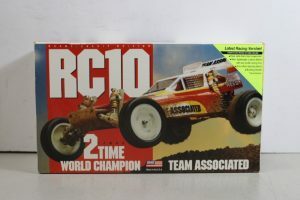 The RC10 started out as the vision of Team Associated’s founder Roger Curtis (“RC”) and became one of the most iconic cars in history. The RC10, possibly more than any RC vehicle before or since, is credited with making the single biggest impact on radio control racing. The Barbie doll is of the most popular and recognizable dolls ever created, and not just among young girls. 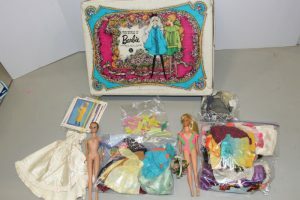 This doll is highly sought after by collectors, especially well-preserved vintage Barbie dolls. Before her late-1950s debut, only infant doll designs were available on the toy market, but Barbie brought something new and different. The dolls were designed to allow young girls to dream about their futures as career-driven, posturing women. They quickly became some of the best-selling dolls of all time, with over a billion sold to-date. 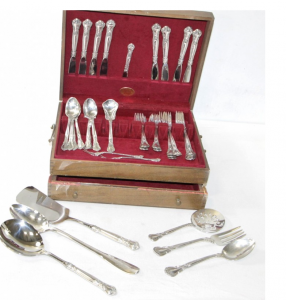 Unlike traditional silver plate flatware, sterling silver flatware almost always retains its intrinsic silver value both in price and appearance. Sterling silver offers an extremely durable, long lasting yet beautifully polished solution for flatware sets. Model railroad trains first became popular when department store owners incorporated them into their holiday window displays in the 1920s. 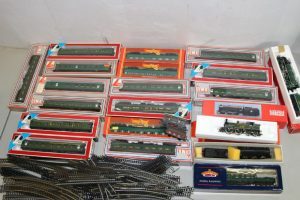 Today model railroading is an extremely popular hobby, with both collectors and modelers who focus on every imaginable aspect of railroad history and operations. Lima was a brand of railway model trains manufactured in Vicenza, Italy from the early 1950s until 2004. Due to sudden popularity of scale model railroading, Bachmann entered the model train market starting its N scale trains products in 1968. 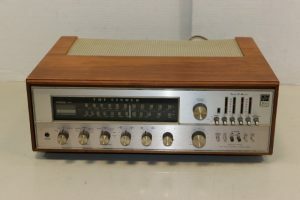 “The Fisher” was the brand name for high-end and high-quality electronic equipment manufactured by The Fisher Radio Corp. During the "golden age" of the vacuum tube, the company was named after the founder, Avery Fisher. Fisher receivers house all the electronics of a complete high fidelity stereo system in one compact, decorator styled unit. 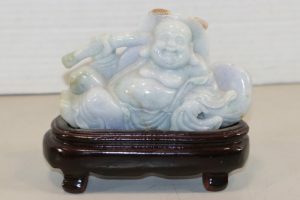 These are just a few examples of the thousands of treasures waiting to be discovered on shopgoodwill.com. Check out the site today and follow shopgoodwill.com on Facebook and Instagram to find the one-of-a-kind items that speak to you!